Staying healthy requires eating right and absorbing healthy and nutritious foods. If you have been diagnosed with diabetes, it is extremely important that you acquire an understanding of proper nutrition for diabetics. Diabetic nutrition is based on controlling the amount of glucose or sugar in the bloodstream. The food we consume directly affects sugar levels in the blood, which is why healthy food choices are key to preventing a deterioration in one’s health and quality of life. There are a lot of diets for diabetics out there, and it’s hard to say which one is the best. Each diabetes patient should take into account factors such as age, weight and severity of their diabetes. Individuals who are diabetic should consult with a registered dietitian who can help design a diabetes menu plan with specific nutritional guidelines. Good diabetic nutrition requires a healthy balance of foods that can address the underlying condition and keep blood sugar levels in a safe range. More specifically, diabetic nutritional guidelines must take into account an individual’s eating habits and lifestyle. For example, the best menus for diabetics should emphasize eating at the same time each day. This will help keep blood sugar levels stable so that insulin can function properly. Blood sugar levels should be checked frequently, particularly when starting a new diet. Diabetic individuals need to understand which foods and drinks are having a positive or negative impact on their blood sugar levels, and then make adjustments accordingly. What is the Best Diet for Diabetics? The best diet for someone who has diabetes is one that is high in fiber and low in sugar, salt and fat. Good sources of dietary fiber are organic fruits and vegetables, along with whole grains like brown rice and oatmeal. Never underestimate the importance of fiber to one’s digestive health. While it can be tempting to eliminate certain foods altogether, the truth is that a balanced diet is the best approach to managing diabetes. Overly-strict diabetic dieting can often lead to other health problems that are worse than the diabetes itself. Generally speaking, recommended nutrition for diabetics centers on eating a limited amount of fat, specifically by consuming protein in the form of chicken, along with seeds and and nuts. Consumption of red meat should be limited to very small amounts. For the majority of people suffering from diabetes, alcohol should be avoided due to its high sugar content. Consumption of soft drinks and fruit juices must be reduced dramatically. Pure mineral water is the best drink for diabetics. Below is a sample diabetic meal plan that contains approximately 1,600 calories and 220 grams of carbohydrate. It’s important that you drink 16 ounces of water with each meal. 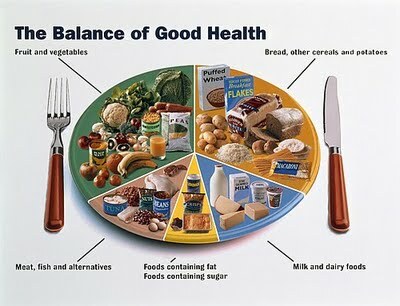 Proper diet is an integral part of managing diabetes. Keep in mind that you do not need to eat special foods as a diabetic, but should instead try to choose healthy meals eaten at the same times each day. To control blood sugar, it is important to try to eat the same amount of carbohydrates at each meal. According to the American Diabetes Association, most people can start out with a target of 45 to 60 grams of carbohydrate per meal. Be sure to consult with a professional nutritionist or dietitian if you are uncertain about how to create meals for your diabetic condition. A registered dietitian with experience preparing diabetic menu plans may suggest following what is called an exchange diet. 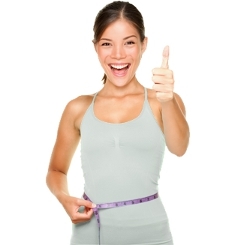 An exchange diet plan involves swapping various foods so as to give the person more choice. This makes sticking with the diet easier. If breastfeeding, be sure to understand proper baby nutrition. For diabetes sufferers, changing one’s eating habits can be difficult at first. But with a little planning and preparation, diabetic nutrition can still be delicious and enjoyable. The health benefits of stable blood sugar are worth the extra effort required.